American Electric Power has partnered with "innovation specialist" L Marks to launch IlluminationLAB. L Marks will help AEP identify promising entrepreneurs and early and growth stage companies in the energy sector to apply to participate in the IlluminationLAB program. L Marks is initiating a global talent search for participants today. "AEP's IlluminationLAB is designed to combine industry insight and learnings with the perspective and technologies of talented startups from around the world. 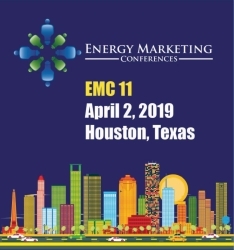 We are particularly interested in products and solutions focused on renewable energy resources, smart connected devices, customer engagement, predictive analytics and virtual assessments. We want to lead the utility industry in building the future of energy for the benefit of our customers," said Chris Johnson, director, AEP Enterprise Innovation and Technology. Communication with customers and the ability to provide pertinent information that enables customers to make informed energy choices is crucial. AEP is seeking ways to better understand consumer behavior and to provide more proactive, personalized communications that will give customers the information they need to make informed energy decisions. AEP is responsible for managing a huge network of infrastructure designed to provide safe, reliable and affordable service for all customers, to meet peak energy demands, and to enhance use of its infrastructure assets. AEP is seeking new technologies to enhance management and utilization of its energy production and delivery infrastructure, address potential impacts of customers who generate and control their own electricity, and to inexpensively control and shift energy peaks locally, rather than across the entire grid. AEP is seeking opportunities to improve efficiency by digitizing traditional processes and also aggregating data from customers, infrastructure and facilities. AEP also is looking for solutions that can provide enhanced and new data from its systems to help inform decisions and investments. New infrastructure is needed to support electric mobility including charging, demand management and grid stability. AEP is seeking technology innovations that will help increase the adoption of electric mobility and reduce the costs for the infrastructure needed to support adoption. Start-ups, entrepreneurs, and businesses interested in learning more and applying for the IlluminationLAB are encouraged to visit aepilluminationlab.com. Applications to participate in the IlluminationLAB will be open until March 24. The most compelling applications will have the opportunity to pitch their ideas to AEP executives and stakeholders May 14, with the cohort starting June 17.